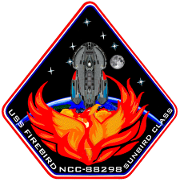 Description The Bridge model on the Firebird is relatively small and reflects influences from some other classes of starship. 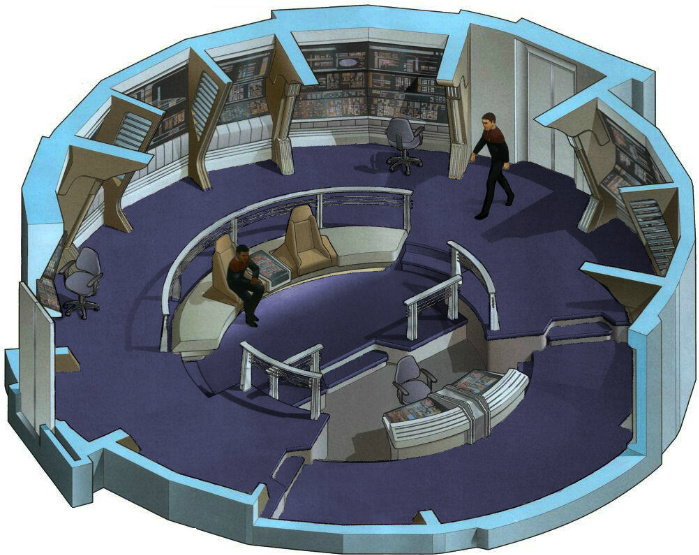 As on Intrepid and Nova class starships, the center of the Bridge features a command area with two equal seats for the ships commanding officer and executive officer. Between their chairs, a single console is shared where almost all functions on the ship can be accessed and, in many cases, controlled. Directly in front of the command area is the conn. The ship's pilot does their work from this console. Along the outside wall of the bridge are the viewscreen, tactical, operations, engineering, science, two auxiliary consoles, and the master systems display. 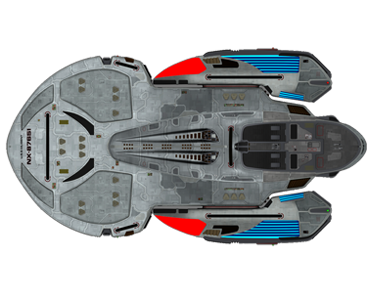 The starboard doors give access to the turbolift while the port doors lead to the rest of deck one.